One in three women worldwide is a victim of physical or sexual violence. About 80 percent of the time, this violence occurs at the hands of a partner or spouse. Intimate partner violence against women refers to any “behavior within an intimate relationship that causes physical, sexual or psychological harm, including acts of physical aggression, sexual coercion, psychological abuse and controlling behaviors”. Intimate partner violence may result in a series of short or long term physical, sexual, reproductive, and mental health problems. According to WHO, women exposed to intimate partner violence are twice as likely to experience depression, and almost twice as likely to abuse alcohol . Compared to non-abused women, women experiencing domestic violence have higher rates of unwanted pregnancies and abortions, and when this violence occurs during pregnancy, it is associated with events such as miscarriage, pre-term births, still births or low birth weights. They are also 1.5 times more likely to acquire HIV and other STIs. 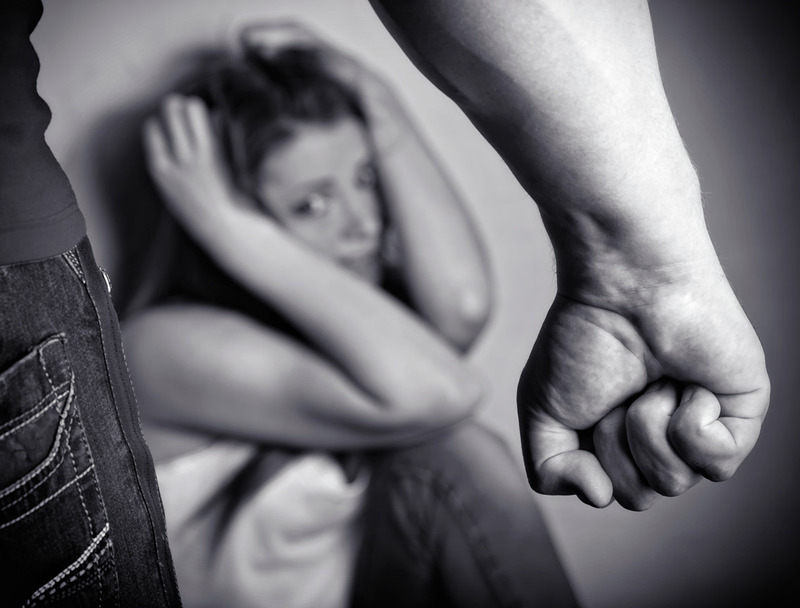 Moreover, 42% of women who were physically or sexually abused by their partners have experienced injuries as a result, and 38% of all women murdered were killed by their intimate partners. Despite this evidence, domestic abuse still continues to be largely unreported. Intimate partner violence is a considerable problem for any society, but its effects are particularly significant for migrant communities. In addition to the usual reasons men abuse women, it is fairly acknowledged that migration is a stressful process for migrants and it heightens the risk of women to experience domestic violence. In many cases, men in migrant communities mistreat their partners or spouses as a way to regain control and power in their lives, particularly when their migrant status has deprived them of this social standing. What are the barriers to reporting for migrant women? Leaving an abusive relationship is a highly complex and difficult proposition. Leaving is neither a simple nor a safe choice for many women, and it involves many emotional, financial, logistical, health, and security related issues. In addition to the barriers all victims of intimate partner violence face in escaping an abusive relationship, the plight of domestic violence victims is greatly exacerbated if they are migrants. Migrant women have left their entire social support system behind in their country of origin, which makes them emotionally, socially, psychologically, and financially more reliant on their partners. Perpetrators actively exploit this reliance by increasing women’s insecurity about their ability to function in the host society without their spouses. In many cases, these women are socially isolated, which increases their likeness of remaining in an abusive relationship. Victims of domestic violence who belong to migrant or ethnic minorities underutilize the services available for them in part because their help-seeking behaviors differ from those of the host culture. These women might have different views on the circumstances they believe it is acceptable for their spouses to physically, emotionally, or sexually mistreat them. According to a multi-country WHO study on domestic violence , less than one quarter of women in the provincial settings of Bangladesh, Ethiopia, and Peru thought that no reason justifies violence. The study pointed out that in Ethiopia, for example, among women who did not seek help when mistreated, 37% said they considered the violence against them “normal” or “not serious”. If intimate partner abuse is accepted within the community of origin, women might have difficulties in understanding that domestic violence is a crime and that they should report it. Cultural expectations may also inhibit women from seeking out assistance, as it would bring shame onto the victim and her immediate and extended family. Many migrant women have none or poor knowledge of the language spoken in the host country. This might affect their ability to seek help, and their knowledge of local laws and services designed especially for victims of domestic abuse. Limited knowledge of the language of the country of residence might also hinder effective communication with law enforcement agents and court personnel, especially because interpreters are hardly ever readily available. Consequently, the inability to communicate with court personnel can make the process of seeking help from the legal system even more difficult for victims of domestic violence from migrant communities. Migrant women might lack information about their rights and the laws governing domestic abuse in their country of destination, especially when few or no laws against intimate partner violence exist in their home country. Victims of abuse often have a negative experience of law enforcement in their countries of origin, which makes them reluctant to seek help. These women might be familiar with a legal system in which money, rather than due process, determines legal outcomes. Therefore, they have learned not to expect justice from such legal systems, and find it difficult to believe that the legal system of the country of destination works differently. Migrant women of all legal statuses who are abused by their partners are often completely unaware of the domestic violence services in their communities. In addition, migrant women might not understand how to navigate social systems such as welfare or housing that are necessary in order to achieve independence from their batterer. Migration status is one of the most significant factors in how, or even if domestic violence is addressed when it occurs in migrant families. Abusers frequently threaten to have their spouses or partners deported if they dare to report an abusive relationship. As a result, many migrant women remain silent and do not seek help. Regardless of their actual migration status, victims of domestic violence frequently believe that their abusers can have them deported because that is what their abusers have told them. In case of illegal migrants, they rarely seek social services, which leads to a dearth of corroborating evidence (medical records, police reports, etc.) needed to pursue criminal charges against the abuser. While many victims of domestic violence face economic obstacles when seeking to safely leave abusive partners, migrant women may have even more severe financial barriers to overcome. Many migrant women depend economically on their partners, especially when they have children. They might fear that if they report the abuse they will lose the economic assistance provided by their partners. Migrant women are often unemployed, work illegally, or have low paid jobs with no benefits or job security, which significantly decreases their ability to function independently from their abusers. Their situation is further aggravated by the fact that many migrants do not have access to public funds, which makes them remain in abusive relationships for their own sake and the sake of their children. Since the harm intimate partner violence causes can last a lifetime and span generations, it is essential that protection against violence be ensured to all women, and especially to migrant women. Community programs should be developed or enhanced for victims of domestic violence from migrant and ethnic communities, paying special attention to additional needs and barriers migrant women might face when trying to escape an abusive relationship.